Last weekend, I had the pleasure (is that really the right word?) 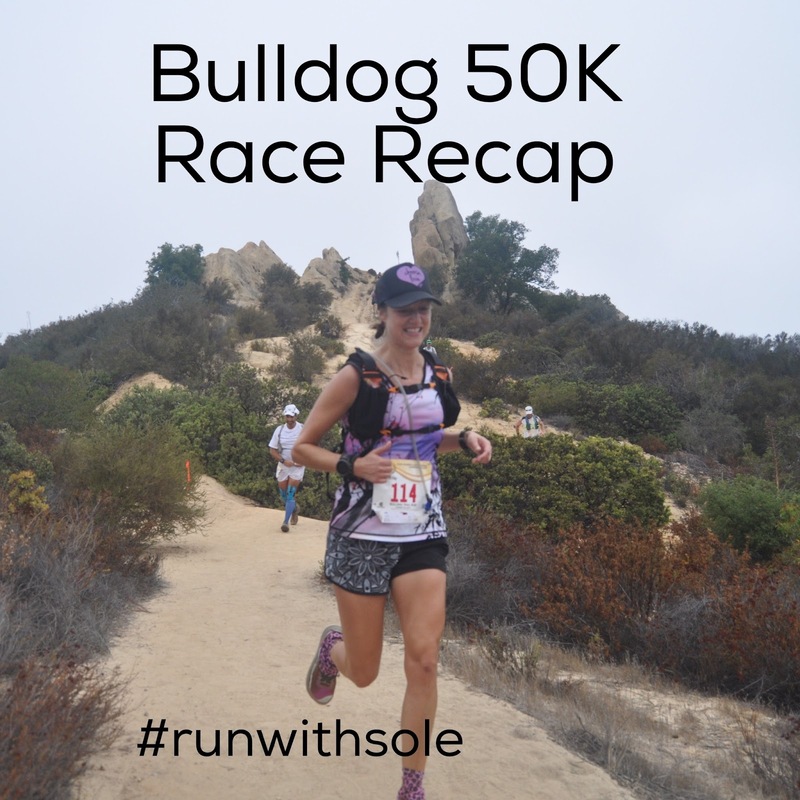 of running the Bulldog 50K in Malibu Creek State Park. 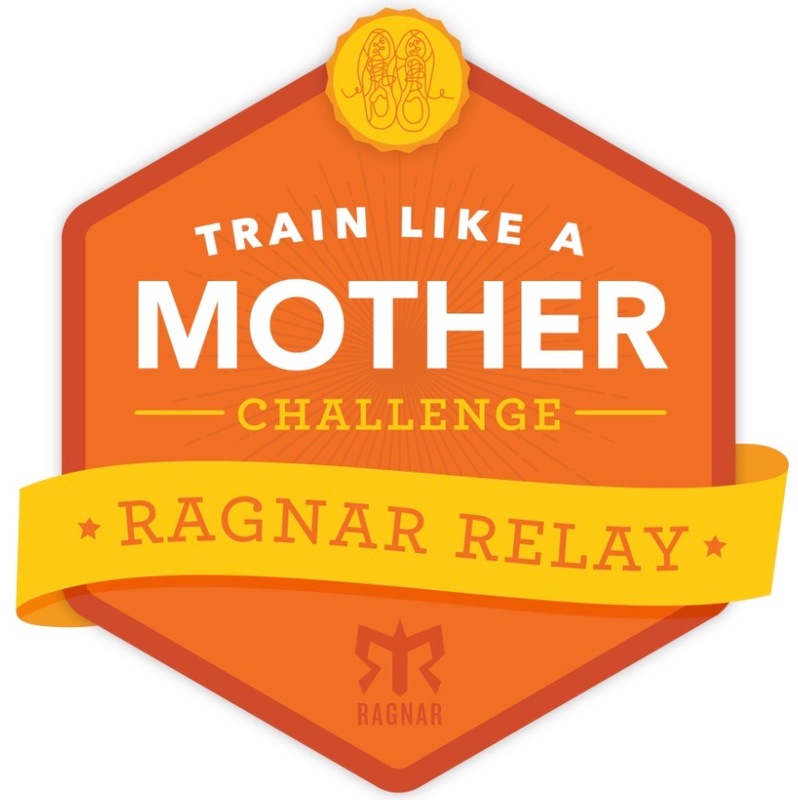 This served as one of two 50K training runs for the upcoming Cuyamaca 100K in October. Today I'm recapping the race in 5 quick and dirty points. 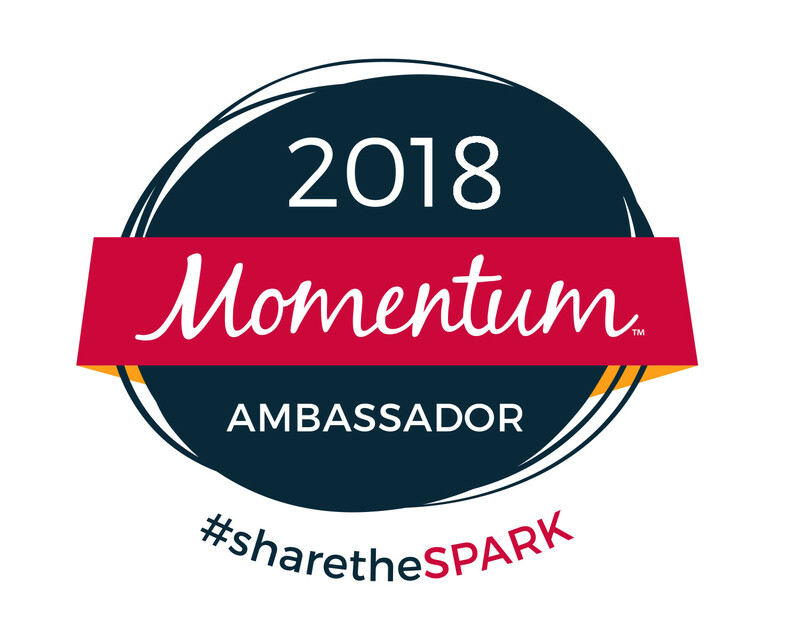 Therefore, I'm linking up with the Friday Five link up hosted by Courtney at Eat Pray Run DC, Cynthia at You Signed Up for What and Mar at Mar on the Run. 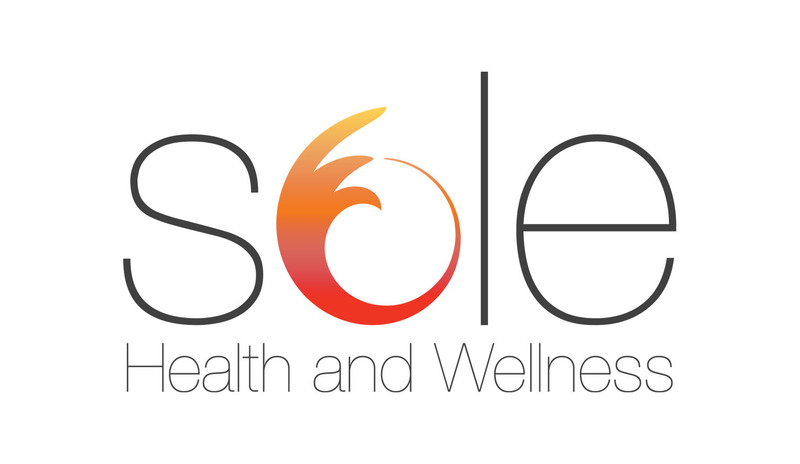 Be sure to check them out when you're done reading here! 1. The Bulldog 50K is run in Malibu Creek State Park, which is a beautiful park, campground, etc. that is part of the Santa Monica Mountain range. We ran this course back in December of last year when we did the Malibu Creek 50K. That was 2 loops of 15+ each to make up the 50K distance. This route was the exact opposite of the Malibu Creek course. Either way, it's 7+ miles up, followed by 7+ miles down, done twice. The course is both beautiful and hideous at the same time. It's beautiful because you are running gorgeous trails through Malibu Canyon up to the top of Mesa Peak and the views are just breathtaking, both of the canyon and the ocean. But it's hideous at the same time because it's close to 6000 ft elevation gain over the 2 loops, some of it quite steep. My quads were definitely feeling it the next day. 2. If you're not interested in running the 50K, they also have a 25K (one loop) that starts an hour after the 50K starts. It's still a tough race but at least you're done when you get to the finish line. And you've conquered a tough course. Super rewarding!! 3. The trail is a mix of soft, smooth single track and technical trail. It is rocky at times, especially on the downhills. There were some runners that fell on the downhills. When approaching the top of the Mesa Peak, you're climbing up and over smooth rock. Which can be difficult on tired legs. But overall, the trail is really manageable and as long as you're focused, you'll be ok. And one thing I was SUPER happy about was that you do not have to run through the finish line when you finish the first loop. The 50K runners were directed back onto the course without having to pass through the finish line for the 25K. I can't tell you how mentally disruptive it is to pass through a finish line and know you have another hideous amount of running ahead of you. It was nice not having to deal with that. 4. 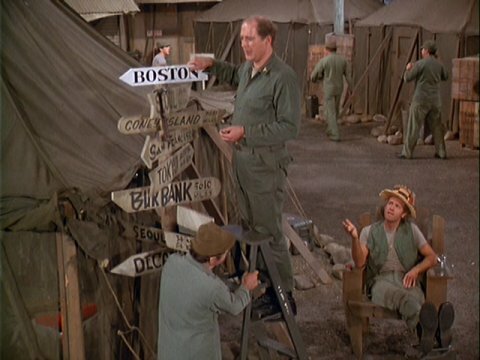 The course runs through the original outdoor set of M*A*S*H (both the movie and the TV show). As many of you know already, I'm kind of a celebrity hound and I love stuff like this. I was pretty obsessed with running through the site during the Malibu Creek race. It also served as an aid station for that race, so we could stop and look around. For Bulldog, it wasn't an aid station and we ran through it pretty early on in the course (maybe 2-3 miles in, I don't remember). So I wasn't really that interested in stopping on the first loop. But on the second loop, I couldn't resist and I stopped for some pics. Yes, I'm a dork. 5. The aid stations and course support were just amazing. The course was really well marked with ribbons, tape and chalk/flour. It would have been really difficult to get lost. And the aid stations had everything from soda, electrolytes, fruit, pretzels, peanut butter sandwiches, gummy bears, Pringles (these were great!) and water. There was more but I just focused on the Coke and Pringles. The volunteers were all upbeat and helpful. They were so great. The post-race food was good too. But honestly, all I remember was the watermelon at the end. We were so hot, that was the only thing that seemed appetizing! Vanessa and me enjoying our post-race treat! 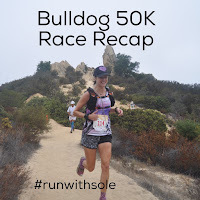 I really liked the Bulldog 50K a lot. It did get pretty hot on the second loop, but I think we lucked out with getting some super overcast skies for over half of the race. While this was a training run for me, I do think I would do this one again some day. I loved the race organization, the belt buckle instead of a medal and the awesome trail running vibe. Though the traffic from San Diego to Malibu was NOT fun; nor was it fun coming home after the race. I think we spent more time in the car than running the race. And I'm not exaggerating!! What fun races have you done lately? Do you ever use races for training runs? LOL!! If you do it, I'll do it with you! 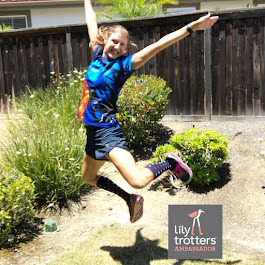 Wow, kudos to you for not only running a 50K but doing it in preparation for a 100K!!! Thank you! I'm getting nervous about the 100K. It's less than a month away. Eek! 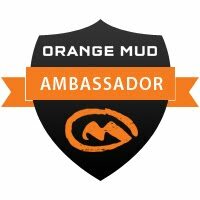 I am doing my first 50k next month (OMG AM I REALLY?!) so reading this was really nice. It makes me feel like I can actually do it :-) Thank you! You CAN do it!! Which 50K are you doing? Good luck and have FUN!